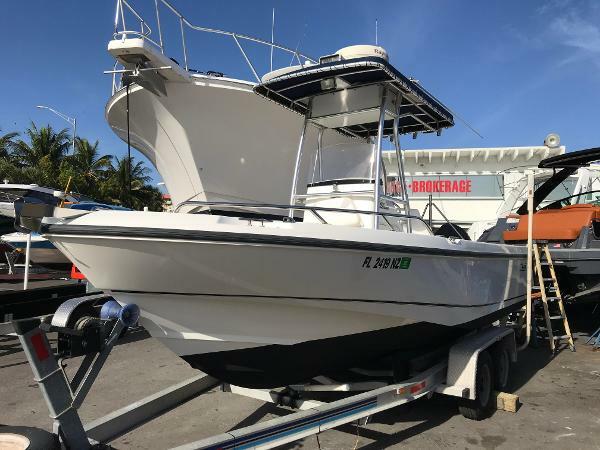 Complete Marine is pleased to offer this excellent condition 2002 Boston Whaler 21 Outrage equipped with a single Mercury 200 Saltwater series 2-stroke engine (450 hours). Pride in ownership shows throughout the boat and it is in turn-key condition. 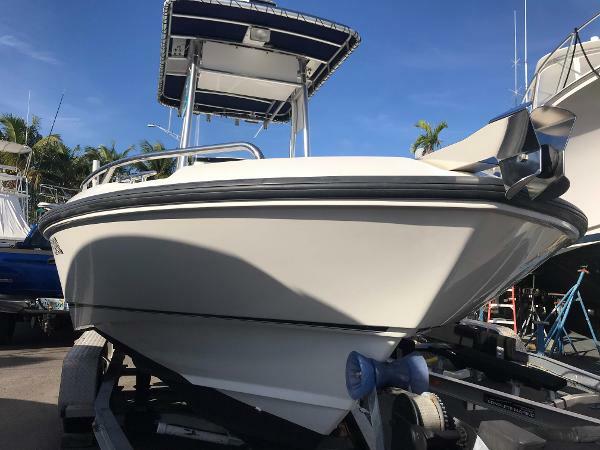 The boat is loaded with Radar, Raymarine GPS Chartplotter, Fishfinder, Simrad Autopilot, AM/FM/Sirius Satellite Stereo, Dual Heavy Duty Batteries with Switch, Isolator, Icom VHF Radio with Remote Mic, T-Top, Cushion Package, Console Enclosure, and Console Cover. The deck has two large fish boxes, live well, and plenty of storage throughout. 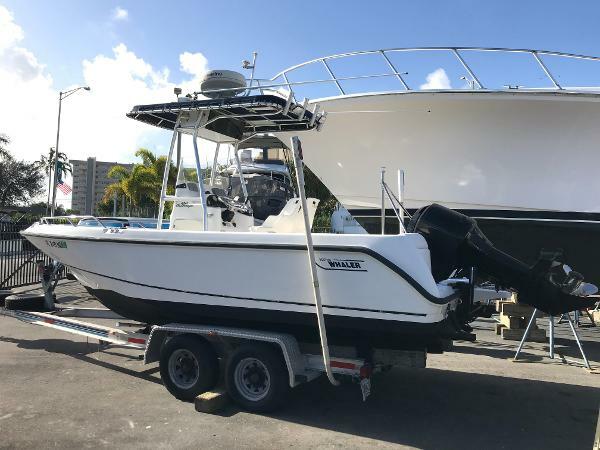 Don't miss out on this exceptional boat, Boston Whaler builds this boat to handle the seas, you'll be glad to be in a Whaler on those "not so nice" days! Contact David with questions regarding the boat or to schedule a showing.